Hide deals from seller "KAS"
Click ‘Get It’ and select Power Steering Flush option, Fuel System Cleaning option or Ceramic Brakes option. Limit 1 per person and 1 per transaction. Walk-ins welcome. Promotional value expires 365 days after purchase. $24 for a power steering flush ($50 value). 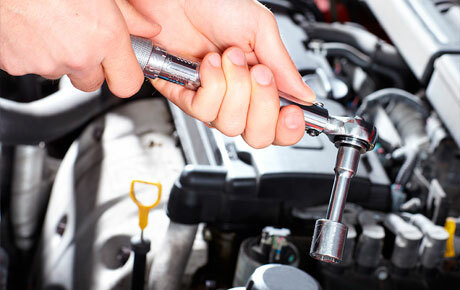 $64 for a 3-part fuel system cleaning ($129 value). $100 for ceramic brake pads and installation ($200 value). This full-service auto shop offers all the services you need to keep your car running smoothly and safely. Whether you’re in need of an oil change, regular maintenance or diagnostic testing, the experienced mechanics at KAS will have you back on the road in no time. Drive away with this deal. Auto shop in Wheeling that performs repairs and maintenance for a variety of vehicles.